We know that children are influenced by what they see on TV and in the movies. Sometimes this is for the good; but reality – and scientific research – proves that children can be negatively influenced, even harmed, by the media they consume. 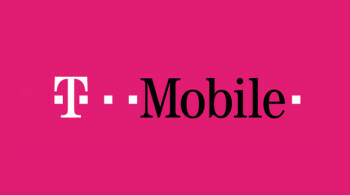 The PTC applauds T-Mobile’s goal of unbundling entertainment. The former ABC Family network is pushing boundaries yet again. Disney’s Andi Mack: Modern Coming-of-Age Story or Soapy Tween Drama? The Disney Channel drama aims teenage content at pre-teen viewers. Are Streaming Services Safer for Your Kids Than Regular TV? TV viewers are rejecting the hundred-channel cable bundle. The Parents Television Council issued a statement in response to the news that AT&T is purchasing Time Warner Inc., for $85.4 billion. The Parents Television Council called for greater consumer Cable Choice, following the season premiere of AMC’s The Walking Dead. Dating Naked is sadly typical of the programming produced by Viacom’s various cable networks…to the corporation’s detriment. The start-up cable network is making a bid for more attention. Professional wrestling with a storytelling twist. This supernatural gangster drama isn’t for kids – or anyone with a weak stomach.